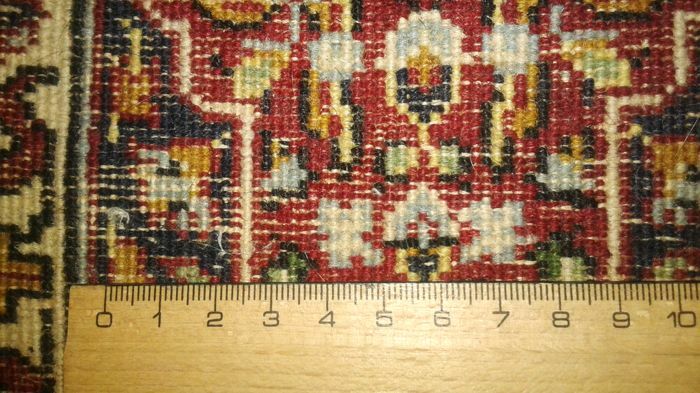 Wool knotted onto cotton, good condition, original Nomadic Persian Afshar. Original old Agra in fine knot setting and perfect symmetry. 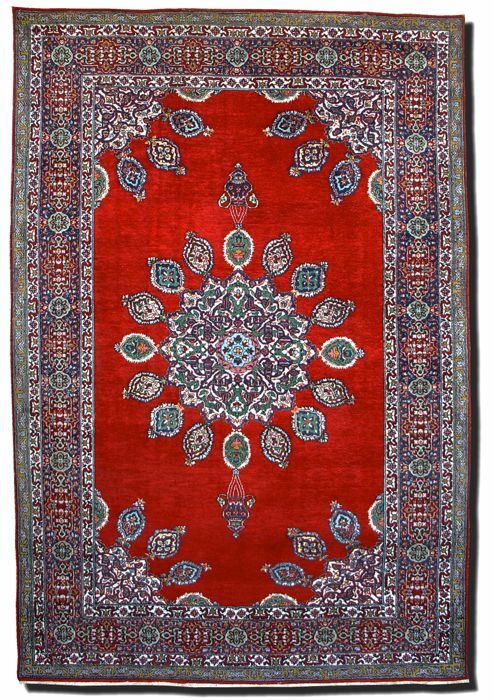 Old rugs from India are hard to find. 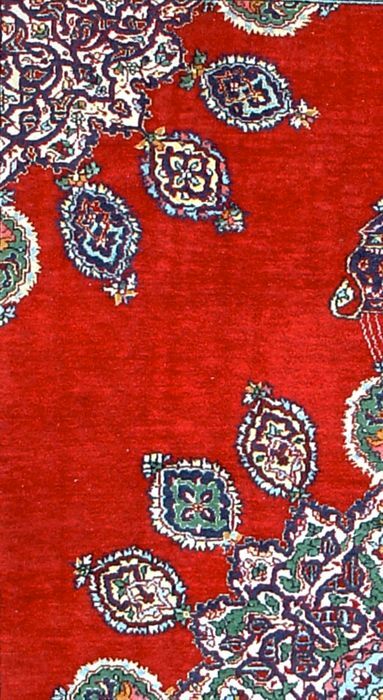 The fact that India has a centuries old tradition of knotting ingenious rugs, has been forgotten. 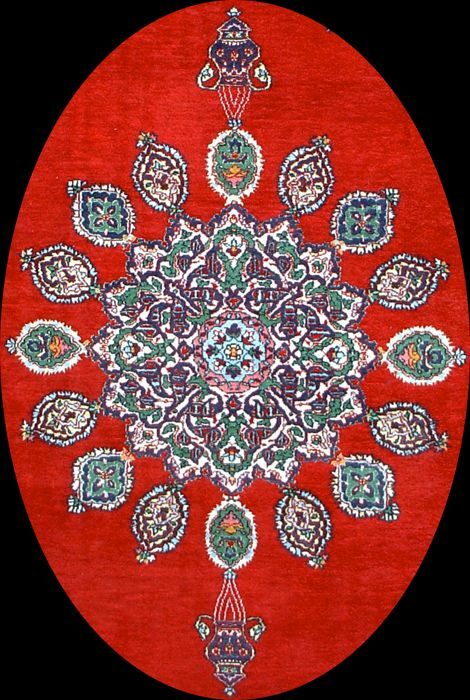 The character of the rugs is perfectionist in composition, typical of the zeitgeist which emerged there in the 17th century: everything had to be symmetrical. This piece reflects that tradition and is clearly a product of that culture. 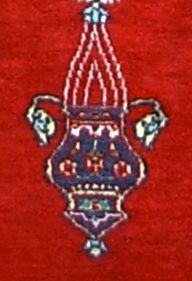 A richly decorated medallion on a warm burgundy background. The four corners (directions) each contain a quarter of that medallion. Main edge of linked cartouches containing four rosettes. The corner solution is perfect (no half patterns). The smaller edges show a concatenation of the cloud band pattern and scattered flowers. 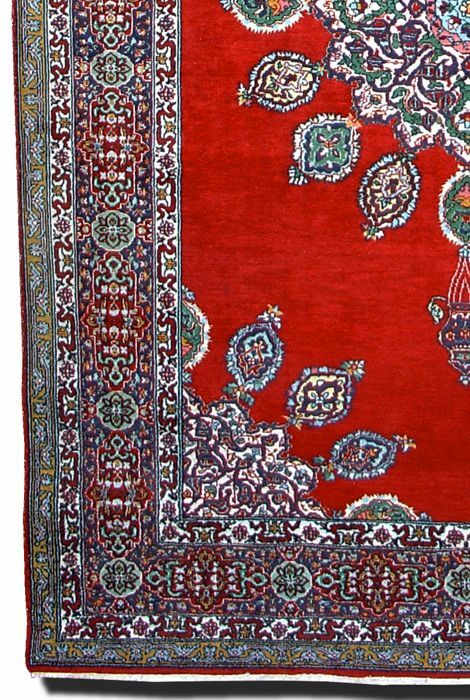 The rug reflects the Mogul dynasty (1526/1858) in all its fibres. With a knot density of approx. 420,000 per m² and a tightly closed, velvet pile setting, it will stand the test of time. The serged, original edges are a bit worn in some places. The fringe edges are not serged. Minor signs of wear but generally a very good layer of wool with full pile height. All dyes are well fixated. Snel geleverd. 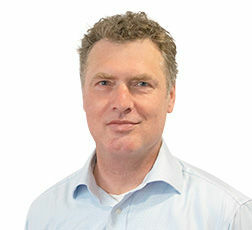 Tapijt overeenkomstig de verwachting. Surprenant et ravissant tout petit tapis.Envoi rapide. The rug looked totally different. First thought it is not the same. It is very dark. 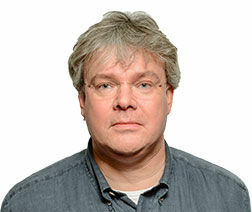 The picture on Carawiki must have been over exposed. Pity I cannot include my picture. Swft delivery. Lovable item. Fair description. Good seller. Commande conforme aux photos. Bien emballée. Livraison rapide. A lovely kilim well packed. Thank you. tasfront as descriped, good condition. Quick delivery. Satisfied. Produktbeschreibung war knapp aber okay. Die Tasche war soweit in gutem und altersgerechtem Zustand. Nice rug, fast shipping, thank you. Joli tapis, envoi rapide, merci. Tapis conforme à la description. Envio perfecto, embalaje y transporte adecuado. Snelle levering, tapijt conform beschrijving. Kortom, zeer tevreden. Puteți ridica acest lot de la vânzător: Vaassen (), Țările de Jos.